The original parts are written in chiavette alte (high clefs), implying downward transposition, so the music has been transposed down a fourth, to become suitable for Alto, Alto/Tenor, Tenor/Baritone and Bass. 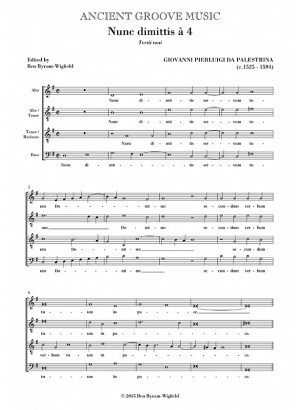 The music of the Nunc dimittis may be familiar as the source of the Matin Responsory in Carols for Choirs 2, where it is described as ‘adapted from a Magnificat by Palestrina’. 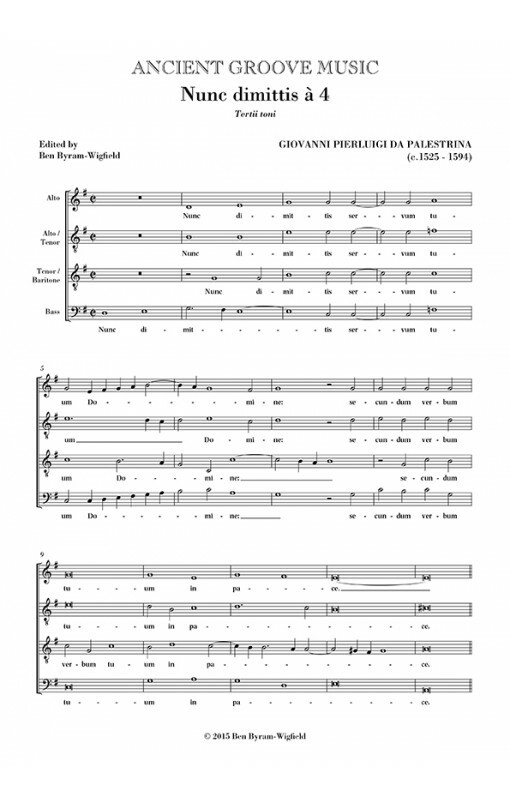 Also available with Palestrina's Magnificat in the third tone.